If you want a coffee table that does more than just – you know – holds coffee, you NEED to check out this collection of cool coffee tables. These amazingly cool coffee tables take the form and function of this staple of living room furniture to the next level, and sometimes to the next level above that. Out of the thousands of Coffee & Cocktail tables in our collection, we’ve pulled out a handful of truly cool coffee tables for the true furniture connoisseur. 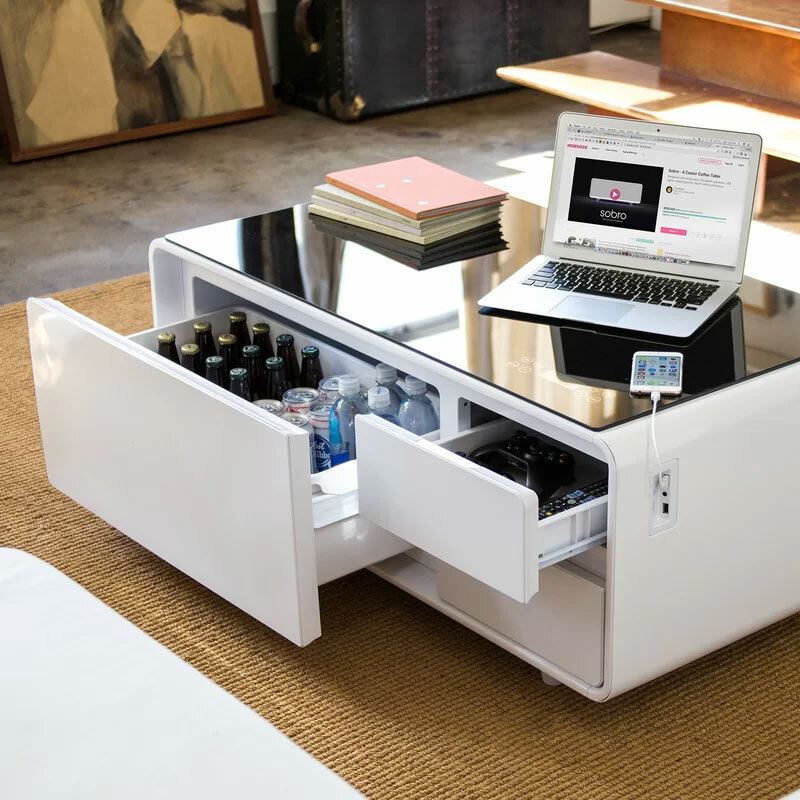 No longer just a place to put your feet, the Sobro Smart Coffee Table with Storage is possibly the smartest, most convenient, most functional coffee table you’ve ever seen. This amazing coffee table features a complete set of built in productivity and relaxation features that you’ll have to see to believe. Inspired by the best selling rotary coffee tables, this multi-functional coffee table is sure to impress. Crafted in brown oak veneer with contrasting light grey high gloss. This coffee table can be closed for a neat look, or opened for a touch of abstract & additional surface space. Sculptural and seductive, this unique, free-form coffee table makes a bold statement, whether displayed in the living room, office, or den. Featuring a lustrous, gold frame with a sleek, inset, black glass top, the table represents a modern take on classic Hollywood luxury and glamour. When it comes to cool coffee tables, few companies beat Oggetti from a design perspective. So much so, that we couldn’t limit ourselves to just one of these amazing Oggetti coffee tables. A stunning coffee table that will be the focus of any room. The Hanako Coffee Table contrasts the beautiful geometry of natural wood. An intricate “beehive” of carefully crafted wood marks this unique orb base, which becomes a true focus of any constellation (but also a living room). Geometric forms made from a variety of woods and stainless steel help to make this base for a glass top appealing and unique. 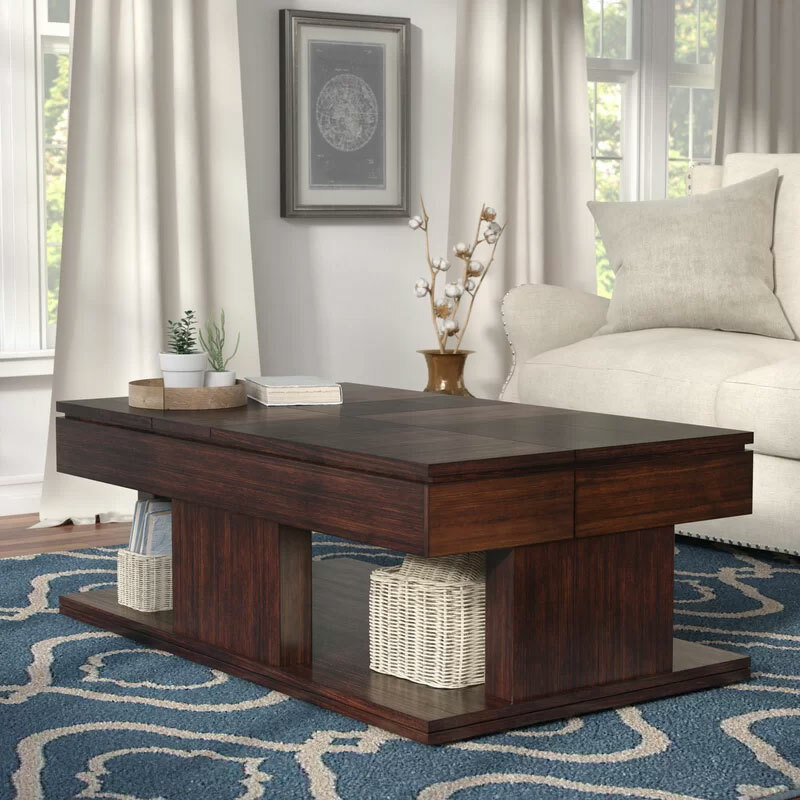 The gorgeous Oggetti Showtime Coffee Table shall redefine the looks of your indoor furnishings. This classy looking coffee table is a splendid way to spruce up the decor of your living space. The stunning Pedrick Wood & Glass Coffee Table is expertly crafted from individual sticks of natural wood, giving each table a unique and original look. Featuring a tempered glass top that allows you to see every nuance of every piece of wood used to craft this exquisite table! How’s that for cool?? Why settle for tea for two when you can have coffee two or three cool coffee tables with this stunning trio of interlocking tables? Finished in warm, luxurious shades of brass and nickel, the three round tables fit together at staggered heights for an effortlessly chic, modern design with a sleek, industrial edge. The Javier Global Hammered Antique Brass Coffee Table from Kathy Kuo Home will make an amazing enhancement to your stylish home. The elegant design and unique openings for additional storage or decor creates a stunning focal point for your living room. The Weeden is both cleverly functional, and simply appealing. This contrasting White & Brown coffee table creates a unique visual when closed, and opens up to reveal storage cubes inside for tucking away items until they are needed. This Annessia Aluminum Coffee Table is the perfect statement piece and goes well with leather uphohttps://artandhome.net/product/17-stories-annessia-coffee-table-with-trunk/lstery. This aluminum coffee table features is an incredible design with curved lines, combining aluminum together to bring you a vintage sensation in the living room. Blending the warmth of classic rustic styles with the chic appeal and convenience of modern aesthetics, Union Rustic combines a solid natural edge petrified wood slice with polished stainless steel legs. Petrified wood is a kind of fossilization process where the organic materials of old wood is replaced over time with minerals, literally turning the wood into stone. The result is a marble-like substance that retains the visual structure of the original piece of wood. Making a distinct statement, this Tunnel Vision Coffee Table is a unique and functional piece of artwork that provides a glamorous touch of high-tech style to any living space. The coffee table is carefully crafted from aluminum, glass, and solid wood with spectacular infinity LED lighting display built in. The end result is a hypnotizing display of lights and shining metal that is as intriguing to look at as it is functional to use. Looking for More Cool Coffee Tables? 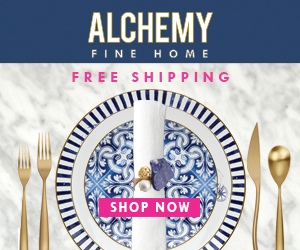 Browse our complete collection of Coffee & Cocktail Tables.